If you are interested in service for the 2019-2020 season, please fill out the “Contact Us” form and check off the box for “2019-2020 Snow Plowing Wait List”. – For residential properties our snow plow rates generally range from $325 to $495 for the season depending on the size and technicality of servicing your property. 2. 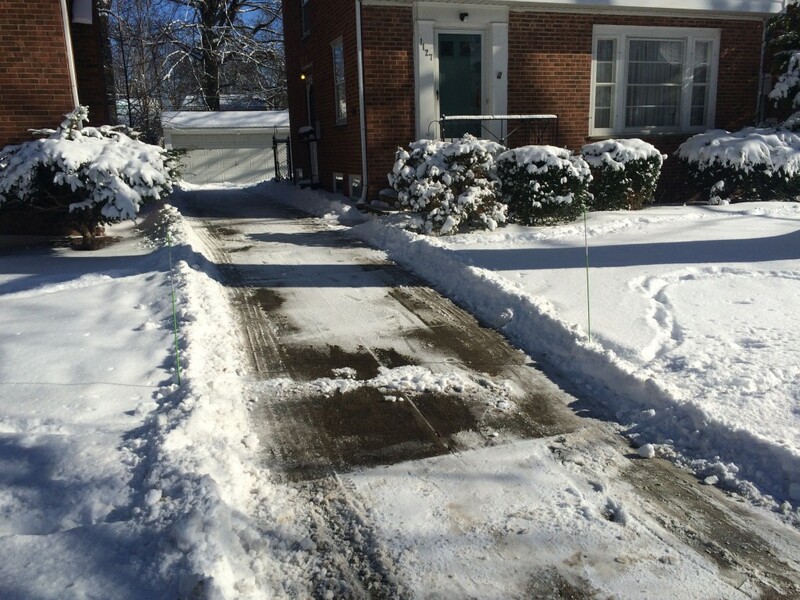 Do you shovel walkways and/or sidewalks? – In an effort to service our customers’ driveways in a timely manner, we are currently not able to provide snow shoveling or snow blowing services for walkways, sidewalks, etc. 3. My driveway is narrow and/or hard to maneuver in. Do you use smaller plow vehicles such as Jeeps/etc.? – At this time we operate full sized pickup trucks rather than smaller plow vehicles. 4. What time will you have the driveway cleared in the morning? – We want to provide you with the best service possible, however we are not able to predict the timing of snow accumulations. During ideal snow events and conditions, our goal is to have driveways cleared before 7:ooam. If large snow accumulation begin closer to rush hour we may not make it out to your driveway until late morning or early afternoon. 5. What is the length of your snow plow contract? – Our agreement is for five months beginning on November 15th, 2018 and ending on April 15th, 2019. 6. I am a current current customer, what happens if it snows before November 15th or after April 15th? – We are happy to provide service by request before or after the service agreement on a per-push basis. Per-push rates are $30+ depending on size/technicality of your driveway. Please call or email to request service. 7. At what amount of snow accumulation do you start plowing? – We monitor the local weather on an hourly basis and dispatch our snow plow operators when 2″ or more snow accumulates. 8. Do you put up plow stakes/ driveway markers? – Yes we do. We will put them up in the fall and collect in the spring. 9. My lawn was damaged by the snow plow. Will you repair this? – Yes, as much as we try to avoid it from happening, plow damage to lawns can occasionally occur due to darkness, limited visibility, extreme snow, ice or other factors. At the end of the season we will top dress and seed these areas. 10. Do you provide service in my neighborhood? – We provide residential and commercial snow plowing service in Cleveland Heights, Shaker Heights, University Heights and South Euclid. 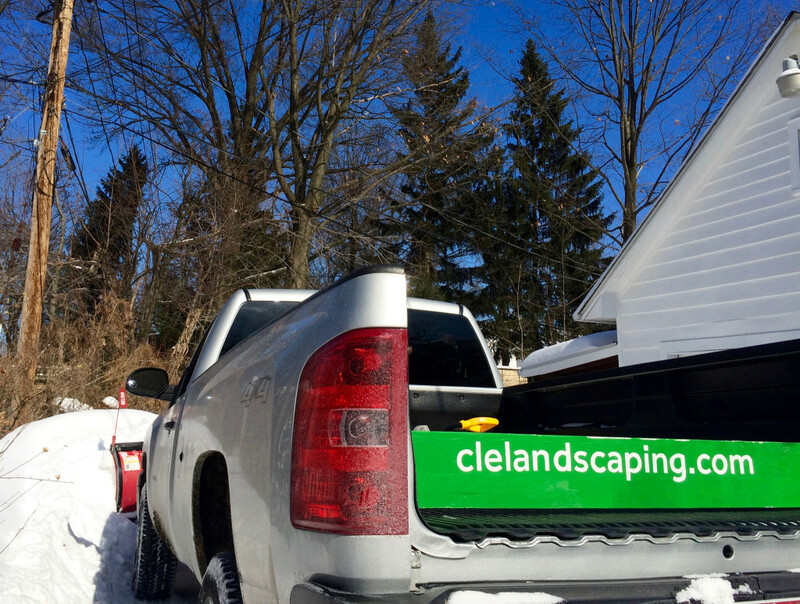 When the snow falls, we will be there to help clear your driveways and parking lots. We can serve a limited number of clients within our service area in a timely fashion, so it is important to sign up early for our services. Don’t be left out! Give us a call today for a quote so that you can be included on our route. 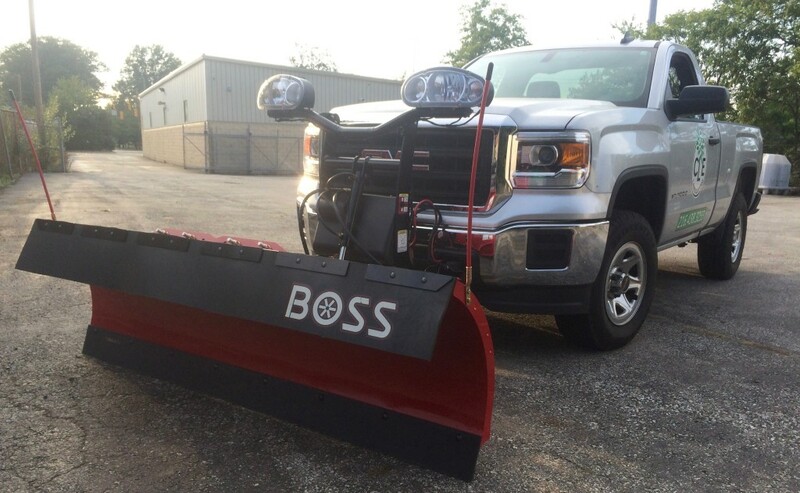 Check out CLE’s snow plowing feature on the news!